Thank guys for another great year of baking fun! 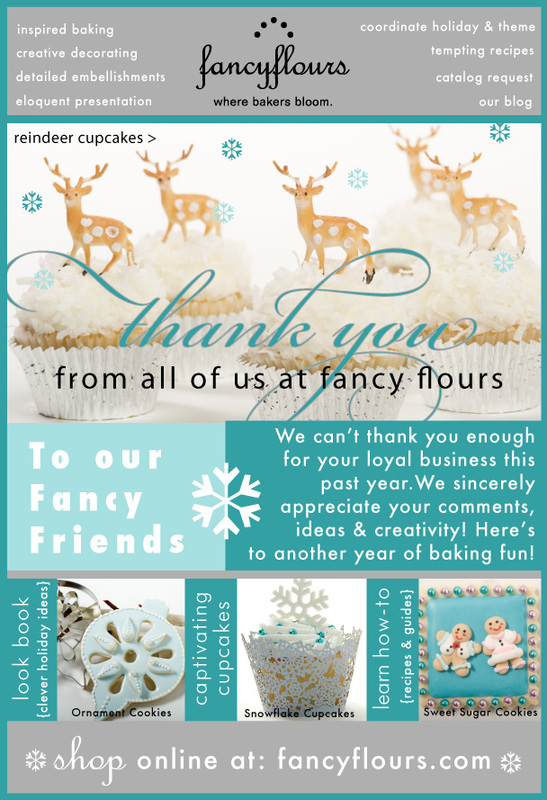 Wishing you all a warm holiday from all of us at Fancy Flours. This entry was posted in Announcements and tagged fancy flours, fancyflours by Fancy Flours. Bookmark the permalink. I made your vintage Holiday postcard cookies for my garden club cookie exchange. WOW! were they a big hit. I used you no fail sugar cookie recipe and rectangular cookie cutter. The recepie made just the right amount. OH I did eat two to make sure they were tasty.